Editor's Note: Conscious Mag is teaming up with This Good World to share a monthly guide all about “spending time and money consciously in cities all across the US. Find out more about This Good World and check out their feature here. Next stop on the Conscious Magazine x This Good World train: Detroit. Humble Design was started in 2009 by Ana Smith and Treger Strasberg to assist families coming out of homeless and abuse shelters with the process of rebuilding their home lives. The mission: to turn four bare walls into a clean, dignified and welcoming home by repurposing gently used household goods. Dubbed “uplifting regifting,” conscious locals donate time, money and used home goods to help the Humble Design mission change lives. Volunteers tag along with the team to bring donations into houses in need and transform them into homes­­right before their very eyes. The Humble Design crew has organized many other volunteer drives, events and parties. Into the startup scene? Want to pitch an urban agriculture project? Thinking of bringing an incredible new community art project to the streets? Detroit Soup should be on your calendar. Detroit Soup is a monthly “microgranting” dinner organized to celebrate and support creative projects in Detroit. Four presenters, all with a wide range of aspirations and executions, pitch their project to the attending crowd. Each presenter has four minutes to pitch her idea and answers questions from the audience. Attendees pay $5 for soup, bread, salad and a vote for their favorite pitch of the night. Perfect cheap date night. Well… maybe not completely. Not at least if its booming bicycle scene and industry have anything to say about it. 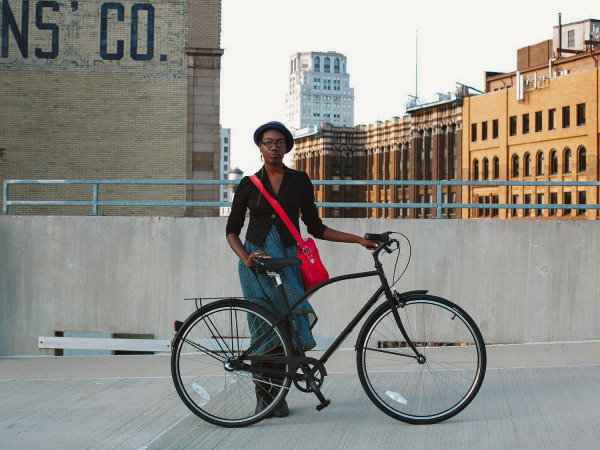 Detroit Bikes is leading a drive to bring high quality mass­manufacturing of bicycles to the US in a way that’s never been seen before. Detroit Bikes encourages cycling by injecting Detroit’s legacy of quality manufacturing and design into each pedal driven vehicle. While an industry riding on four wheels may have been a big factor in the city’s bankruptcy, the industry on two wheels is certainly doing its part to help the city emerge stronger and better than ever. Detroit Bikes can be picked up at a number of local shops (both in Detroit and all over the US) and ordered online as Get riding. 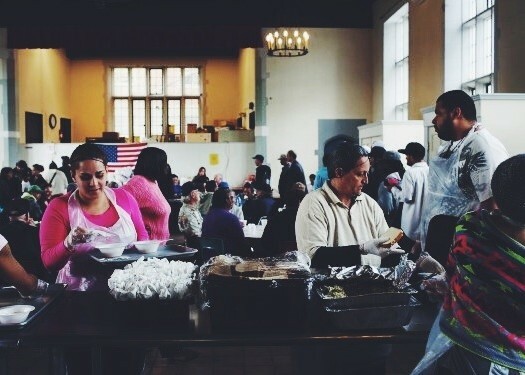 The Empowerment Plan, a Detroit­ based non-­profit, is working tirelessly and creatively to reduce the number of people facing these daily struggles. They hire homeless women from local shelters to become full time seamstresses and manufacture a coat that transforms into a sleeping bag, which is then given out to homeless individuals living on the streets at no cost to them. A cool sidenote: the coats are insulated with materials from the General Motors “Zero Landfill Program” ­­fully recycled materials typically found inside car doors. There are just some organizations out there that leave your jaw on the floor with what they’re accomplishing. The Empowerment Plan is certainly one of those for us. Speaking of empowerment through opportunity and education, Rebel Nell is another Detroit company making waves. Rebel Nell was started with the sole purpose of employing, educating and empowering disadvantaged women in Detroit. They make jewelry from unique local materials, while providing a transitional opportunity for women. Through job training, financial management skills, life wellness and business education, Rebel Nell is changing lives one employee at a time. Oh, by the way, they’re also making some seriously killer jewelry. Check them out at stores all over or online if you’re in need of some new bling (yes­­apologies for saying ‘bling’). Good things are definitely happening in the D. Check out and get involved where you can, and be inspired by these ideas and initiatives. We’ll be back next month with another stop along the map with our friends at Conscious Magazine. In the meantime, you can check out many more businesses doing good things all across the US at thisgoodworld.com. Most importantly…thanks. This makes me want to go to Detroit!